Download the Westin Kierland Resort mobile app to enhance your experience. Mobile apps contain many features like scorecard, GPS, tee times, news, deals and more! Click on the icons for more information and free download. The Kierland Golf Experience brings together perfectly manicured 27 holes of championship golf, the best exercise physiology, top golf instruction, on-site golf equipment fitting and the latest in golf technology all at one location, Scottsdale's premier luxury resort, The Westin Kierland Resort & Spa. Designed by Scott Miller, formerly a senior designer for Jack Nicklaus, Kierland Golf Club provides three 18-hole combinations from which to choose. Named after indigenous plant life found on the course, Acacia, Ironwood and Mesquite offer a complementary collection of nines - each with its own flavor and strategy. Please call 480-922-9283 for current rates. Take Interstate 10 West to Arizona Highway 51 (Squaw Peak Parkway). Go North to Greenway Parkway. Turn Right (East) on Greenway Parkway continue on Greenwasy Parkway past 64th Street and then look for Clubgate Drive and turn left. Follow Clubgate Drive to the clubhouse entrance, which will be on the left side of the street. Approximate drive time: About 30-35 minutes. Take Interstate 101 North to Cactus Road. Make a left (west) on Cactus. Proceed on Cactus to Scottsdale Road and take a right (north). Proceed on Scottsdale Road and take a left (west) on Greenway Parkway. Proceed about 1/2 mile and look for Clubgate Drive and turn right. Follow Clubgate Drive to the clubhouse entrance, which will be on the left side of the street. Take Interstate 17 South to Highway 101 East. Exit Scottsdale Road and turn right (South). Continue South on Scottsdale Road and turn right (West) on Greenway Parkway. Proceed 1/2 mile Greenway and look for Clubgate Drive and turn right. Follow Clubgate Drive to the clubhouse entrance at the end of Clubgate drive. Take Highway 101 East to Scottsdale Road. Turn right (south) on Scottsdale Road. Proceed to Greenway Parkway and make a right (west), proceed 1/2 mile and look for Clubgate Drive and turn right. Follow Clubgate Drive to the clubhouse entrance, which will be at the end of Clubgate drive. Take Shea Boulevard west to Scottsdale Road. Turn right (north) on Scottsdale Road. Proceed to Greenway Parkway and make a left (west). Proceed 3/4 mile and look for Clubgate Drive and turn right. Follow Clubgate Drive to the clubhouse entrance, which will be on the left side of the street. 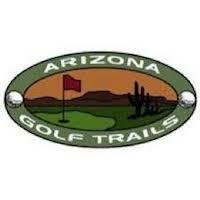 Call 480-922-9283 for rates and tee times. 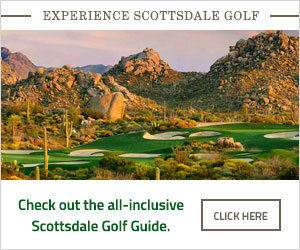 Contact Westin Kierland Resort at 480-922-9283 for more information and details on holding a golf outing at the course. Contact Westin Kierland Resort at 480-922-9283. Contact Westin Kierland Resort at 480-922-9283 for onsite or nearby dining options. This profile was last updated on 07/12/2016 and has been viewed 12,019 times.